Snap Art lets you to get in touch with your creative side by turning a photograph into a work of art! You can easily create a canvas filled with brushstrokes of color, and have fun in the process! 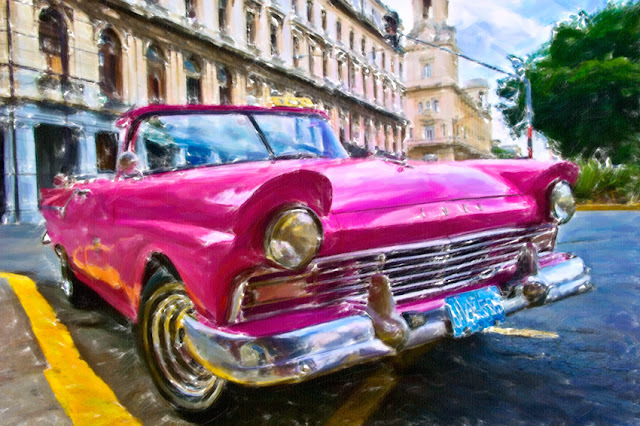 There are many artistic effects to choose from including the vivid pastel preset as shown above with this bubblegum pink Cuban taxi!